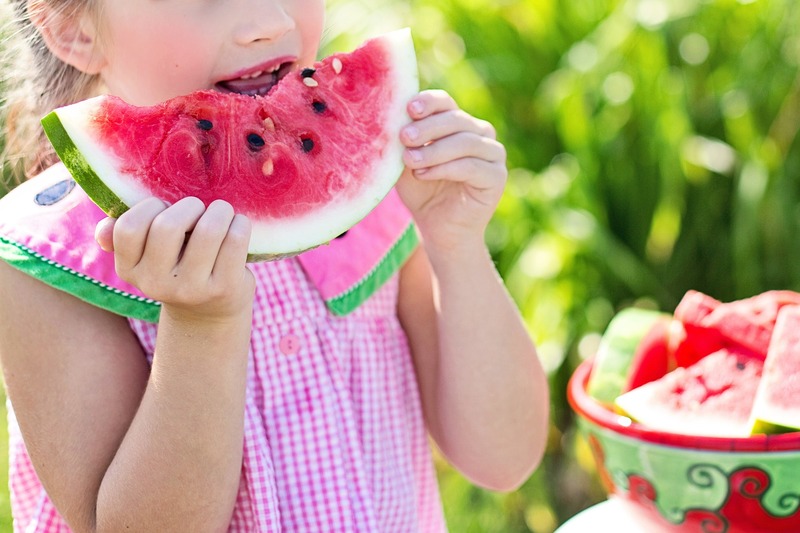 Top 6 ways to get your children excited about healthy eating. Today’s guest post come from Emma Lawson a passionate writer, online article editor and a health enthusiast. In her spare time, she likes to discover the beauty of her home land, and write articles to create awareness regarding healthy lifestyle. 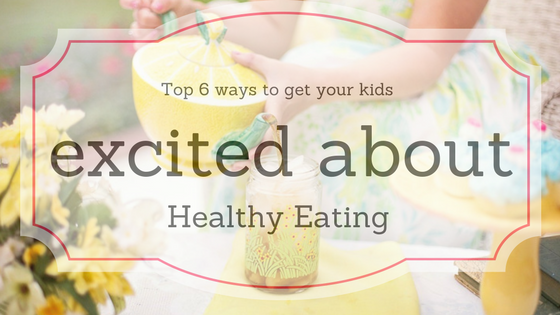 Today she shares with us her top 6 ways to get your kids excited about healthy eating. Getting your kids to eat, and getting them to eat healthy are among the major challenges of modern parenting. All those colourful commercials for fast food, sweets, and soft drinks aren’t helping, either. It’s true that developing healthy eating habits in your kids is super important and not something that should be taken lightly, but forcing things isn’t the answer. Luckily, there are some interesting and playful strategies that you can use. This should be the first step. You can’t expect your kids to eat fruits and veggies if they witness you gulp down a big burger with fries, not to mention that it’s a bit unfair. Your kids are observing you and they’re subconsciously adopting your behavioural patterns, so instead of giving them “you have to eat spinach if you want to grow up”, you should eat it, too. Although many parents believe that this could undermine all their efforts, it’s actually a good idea. 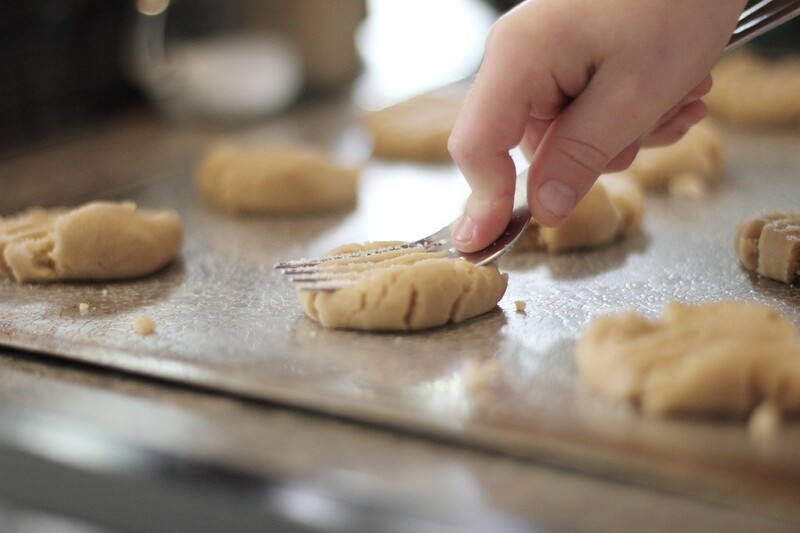 If you give your kids a small portion of the dessert, even before dinner, they will still be hungry. It’s better to make dessert part of their meal instead of being a reward. On the other hand, denying your kids dessert could have a negative effect and frustrate them, especially since they’ll see that their friends eat chocolate, cookies, or ice cream at school. Introducing some healthy, home-made desserts such as rice pudding, banana bread, or frozen yogurt, is what you should go for. Just remember how your food is served when you go to a nice restaurant. Sometimes it’s like a little work of art. 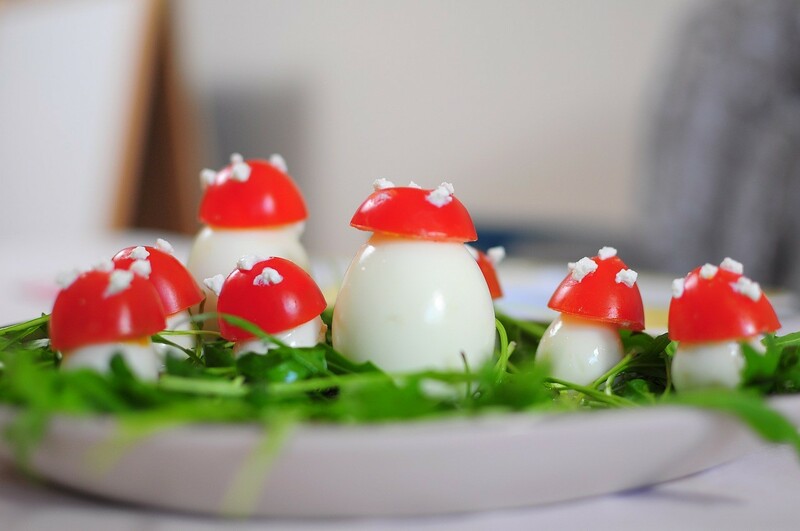 Take a page from their book, and serve your kids fruits and veggies in an unusual way. Swap french fries with zucchini fries, or add a sprinkle of cheese on broccoli or spinach. It will make them more palatable and kids won’t frown like they usually do when you serve them green veggies. Another important thing is that there’s no reason to avoid canned or frozen fruits and vegetables, as they can have a great flavour that kids will love, and they’re packed with nutrients. Kids enjoy this game, so you can organize various kinds of themed parties. Each meal can be dedicated to a different type of cuisine adapted to your kids’ taste, so you can have a French, Italian, or Mexican day. 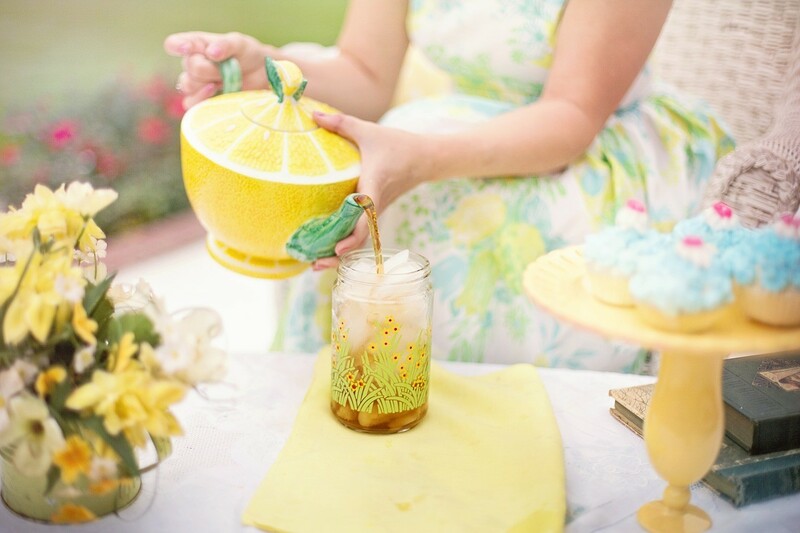 An old-fashioned tea party is an amazing idea to show them that tea isn’t a beverage they have to drink only when they catch a cold. Fancy Wedgwood cups and saucers will make the occasion even more festive and fun, so your kids, especially girls, will be thrilled. If you want your kids to learn how to eat properly, you need to allow them to have a certain extent of control when it comes to what they’ll eat. Discuss each meal in advance, and give them several options, so that they can choose between various dishes. That way they’ll be able to pick what they like and still stick to a healthy diet. For example, do they want fruits and vegetables in their smoothies, or they can select whether they want lettuce, cucumber, or Brussels sprout salad for their lunch. This is a great way of teaching your kids about a healthy diet. Besides that, they will love eating the food they prepared themselves. This doesn’t have to be anything complex, and you’ll be by their side to supervise and help them. 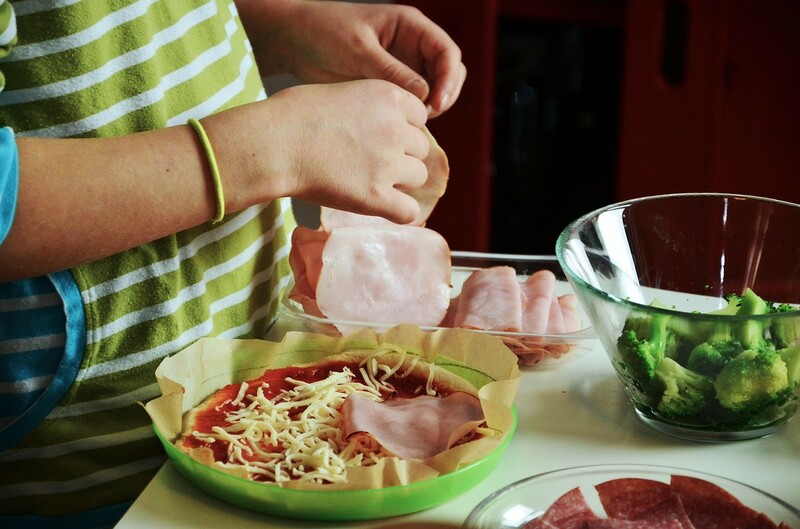 Prepare lots of various healthy ingredients for sandwiches, smoothies, or even a pizza. Of course, low-fat ingredients and lots of various veggies will make this pizza a healthy treat, and your kids will learn that even the food that is good and beneficial for them can be mouth-watering. Besides these several strategies, it’s important to understand that in some cases you’ll have to take it slow and let your kids adopt healthy food choices at their own pace. Small, subtle changes are usually more successful and long-lasting. As a parent, one of the most important things you do is to help your children learn healthy eating habits. Children need a balanced diet with food from all 4 food groups—vegetables and fruit, grain products, milk and alternatives, and meat and alternatives. How do you get your kids excited about healthy eating? These are great ideas. I love the being creative part, we try to do that and I always get them involved in the kitchen. These are great ideas! I am currently struggling with my oldest daughter to eat healthy. WE are changing habits as the whole family! These are awesome tips! I think that leading by example is the best way to get kids to eat healthy. Also talking to the kids about food and why we eat it, to fuel our body. They understand the reasons so much more then. Oh my goodness. This is too adorable. Yup! They’d definitely love eating what they cook. I try to keep the sugary snacks out of the house. 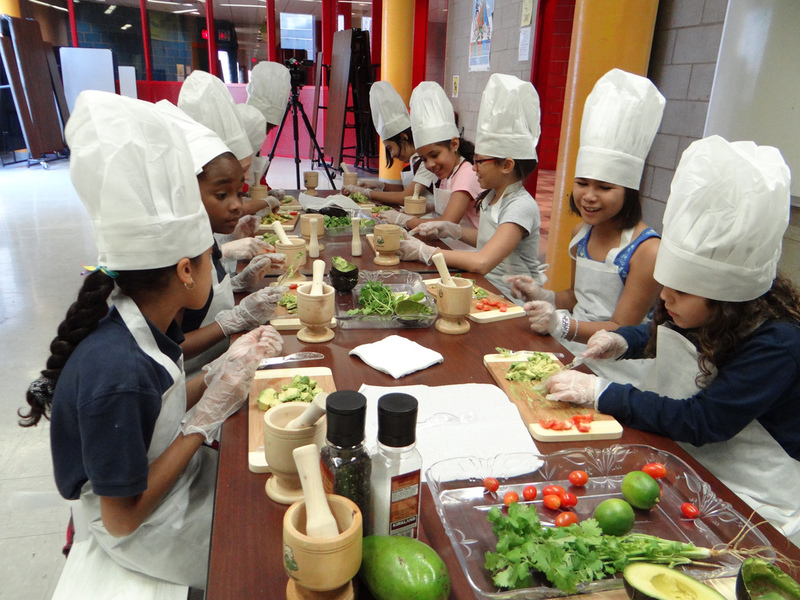 Teaching kids how to cook is a great way to get them interested in eating healthier. My 9-year-old tried to tell me she’s too old for tea parties. I disagree! We’ve got to make it super fun and fancy though. I always found that balance was the key with my kids. We ate mostly healthy when they were younger while also treating ourselves on occasion and always made sure to include some good exercise, too. We offer a lot of healthy choices to the kids and they love being able to choose exactly what they want. My kids love fruit especially. Working on loving more veggies. These all sound like really fun ideas and I’m confident they will work too. We always let the children cook with us. They are more like to eat something they helped prepare. These are all great tips that have been proven to work! I have two healthy eaters and I used these ideas when they were young. It does make a difference. Thank you so much for doing a post about healthy eating that encourages embracing the dessert. I think denying oneself is going to lead to cheating on a diet and so having good snacks is key. Great tips here. These are great tips and I could have used them when my kids were little. They were such picky eaters! I like to let mine help pick what we’re eating. Also, now that they’re old enough to help with meal prep, they’re way more likely to eat something if they helped me cook it. It’s like a double bonus, I get help in the kitchen and they try more foods! I learned if my son could grow or cook it he was more likely to eat it. This is all great advice and all doable. Tortellini = belly buttons! Always helped the kids eat when they didnt want too. Saving this post! My middle is a sugar addict with cavity prone teeth. Not a good combo! Whenever I get the kids involved helping me in the kitchen, I find that they are more apt to try new foods, and eat what mom and dad are actually eating. These are great tips. My son always enjoyed helping me cook when he was little. If he helped me make it he always wanted to eat it. Being creative is definitely how I get my son to eat healthy foods. If I use vegetable to create like a spaceship, he is more likely to eat it!